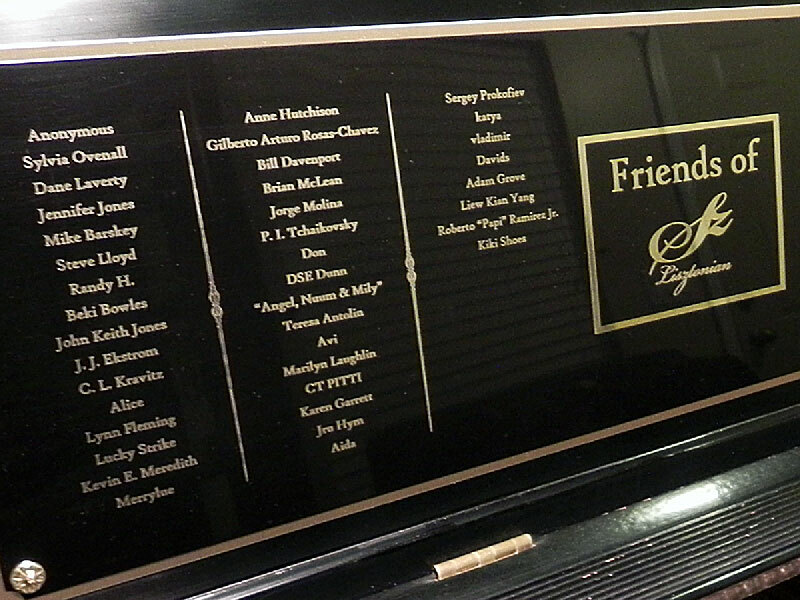 I've been updating the names on my piano's plaque regularly - but cannot say the same for posting photos! 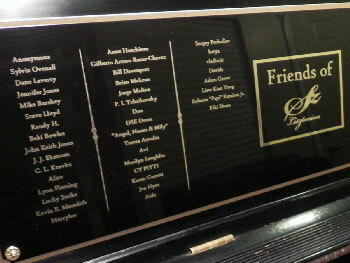 I've finally posted new photos of my plaque that includes all of the most recent donor names through March. Visit this page to view the plaque! New Signatures Added to Piano! THANK YOU to the many people who have contributed to my music in so many different ways. I especially thank those who have shown support through generous financial contributions. Each recording session costs me approximately $180 (USD), not counting the many hours both before and after each recording. As a result, the kind and thoughtful donations from my listeners are a welcomed and sincerely appreciated gift. 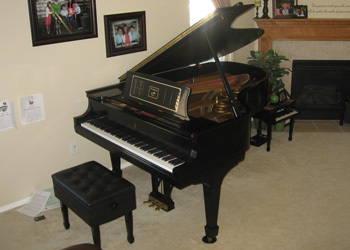 Each individual who donates has the opportunity to include a "signature" that is permanently printed on a plaque mounted to my piano's music stand. I try to update the names on the plaque every few months and just got it back from "the shop" with the latest round of signatures. You can view all of the signatures and donations by clicking here. To go striaght to the pictures, click here. My heart is always so touched by the thoughtfulness of my listeners. I've received so many words of encouragement and am constantly uplifted by the sincere expressions you give. THANK YOU! 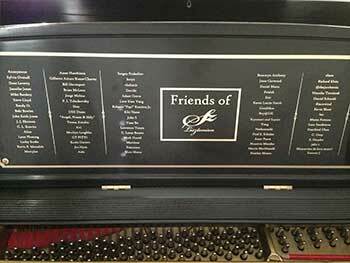 If you would like to have your signature included on the piano, you are always welcome to make a donation of any amount by visiting the donation page on my website. Additionally, there are many other ways you can contribute to spreading a love for classical music! For more information on ways to contribute, click here.